A comprehensive summary of each day's analyst recommendations. 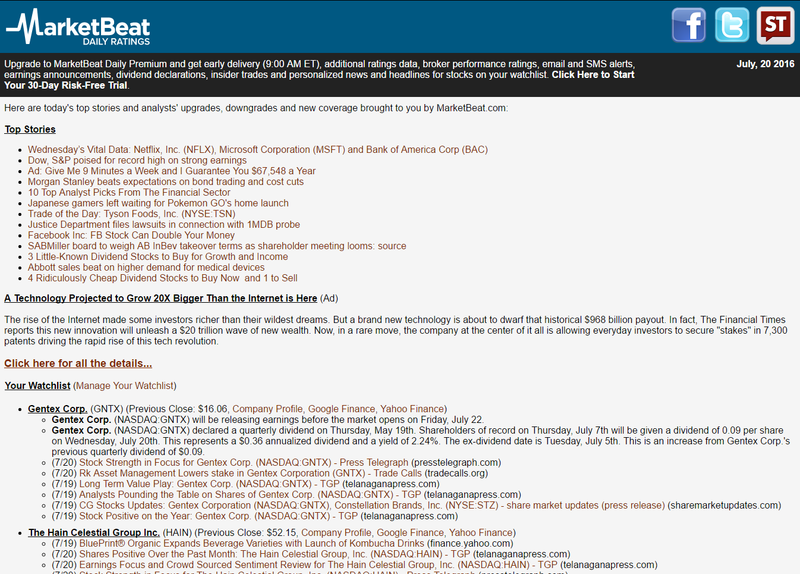 Relevant news and information for stocks on your watchlist. Real-time portfolio monitoring tools (My MarketBeat). A rundown for the top headlines of each day. Market calendars, our mobile app and other research tools.